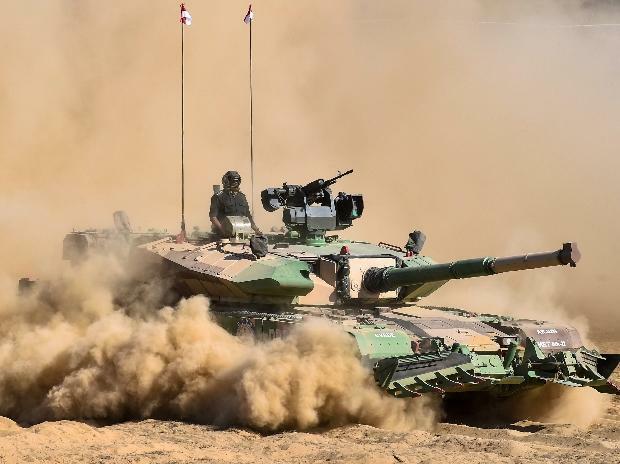 India's defence export is likely to double to Rs 10,000 crore by the end of the current financial year, Secretary of Defence Production Ajay Kumar said on Friday. He was speaking at a seminar on 'Opportunities for Defence and Aeronautics in Gujarat' organised as part of the 9th edition of the Vibrant Gujarat Global Summit. "Indian industry has been doubling the defence exports in the last three years. Three years back, total defence export from India was only about Rs 1,500 crore. Last year, the figure reached Rs 4,500 crore. This year, by November, we have done Rs 7,500 crore export, and by March we are going to cross Rs 10,000 crore," Kumar said. He said the growth in defence export was possible due to the government's reforms, which made it easier for private companies to enter the defence sector. "One of the reforms that government has done is making the entry into the defence (sector) simpler. Nearly two third of the items have been made licence-free, especially on the component side," he said. He said the current government's endeavour was to add a bridge between the start-up and the defence forces. "One of the biggest challenges for the industry working in the defence sector is the opacity of the system...there is far more openness, willingness to share information, collaborate and work with each other," he said. Kumar said the defence investor cell, an online cell created by the government, acts as a guide to get information, understand issues, etc. "This was started about ten months back and the MSMEs have particularly benefited from the cell in the last 10 months," he said. Since the government liberalised Foreign Direct Investment in the defence sector, nearly Rs 4,000 crore of FDI has come in this sector, Kumar said. "There are great opportunities to increase (this) and we have strong partnerships, discussions going on in various countries," he said.